I just squared up the this quilt. 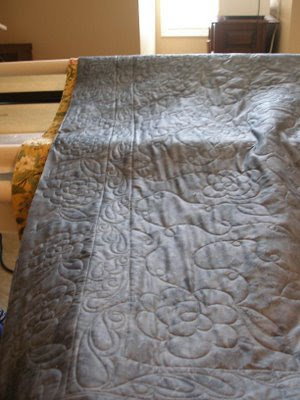 The pattern is Scrapathon by Thimbleberries and the quilter pieced it using Thimbleberries. The outer border has lots of different flowers in it. My Mom, the piecer, and I decide to quilt it with roses. It is all free hand. 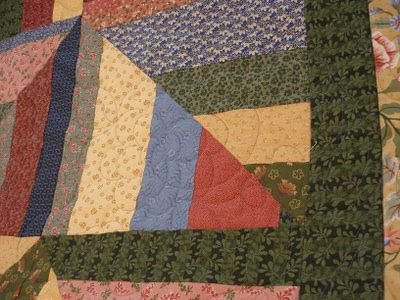 Roses in the outer boarder, a feather and hook design in the dark green border and whimsy with roses in the body of the quilt. It is really hard to see anything on the front of the quilt. 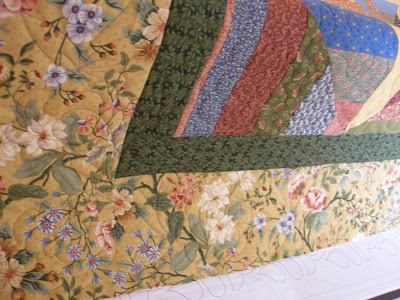 You can barely see one of the roses in the body of the quilt and may be able to see the feather and hook in the green. 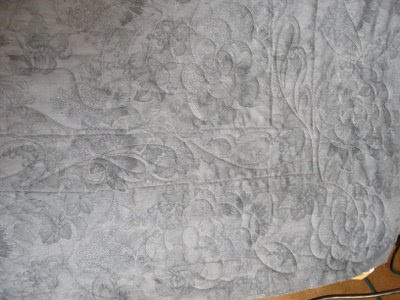 This picture gives you a little idea of the texture but the designs are still very hard to see. It is very had to see from the front in person. 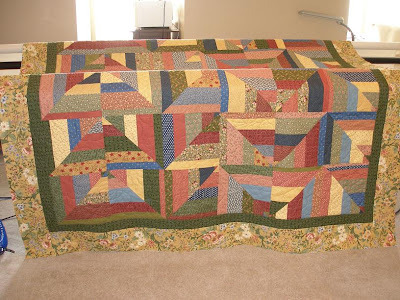 Here is another shot of the quilt back. I think the quilt turned out nice and hope that Mom likes it.